Yes, it’s that time of the year again… I turn another year older! Last year, I wrote a post called My Last Google Birthday that talked about how I celebrated my birthday with my Google friends. Well, this year, I not only celebrate my first non-Google birthday in 5 years, I’m also celebrating my first year in business! My friends and I are going to celebrate VIP style on a night out of town in San Francisco, and since I live about an hour south of the city, we’re going to stay in San Francisco at the Westin Hotel. I’ve also made a lot of new friends during the last 12 months, many of whom are also in the Internet Marketing community, and a lot of them have been kind enough to send me birthday wishes over email, phone, text messaging, instant messaging, and what seems to be the latest and coolest way to communicate these days, MySpace.com. 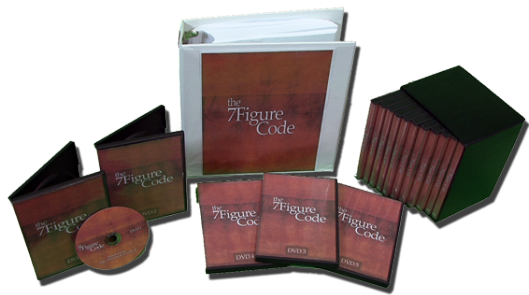 Have you figured out the “code” yet to a 7 figure business? I admit that I’m not there yet, but this being my first year online full-time, I have already created a half million dollar business. In fact, I’ve generated over $100,000 just last month – while I was on vacation! In absolutely no way am I telling you this to brag. And if it sounds like I am, I do apologize, but please allow me to explain. And of course, it is one of my goals to do so (it should be for anyone who have not reached that point yet and is serious about his or her business). But I won’t lie – the learning curve is indeed steep. One of the best things that I did for my business was involve myself in learning from those who are making big things happen. That was exactly what I did at my very first Internet Marketing seminar where I met Mike Filsaime and Tom Beal. …But we also hang out regularly in Las Vegas and even went on a couple of cruises together! Earlier this year, I had the honor of attending Mike Filsaime and Tom Beal’s 2007 Figure Business in Long Island, NY. Let me tell you, that was where I picked up some really good nuggets that resulted in my recent 6 figure launch – in just 12 days! This is information people paid $5,000 to listen to live! As one of the lucky attendees of that event, the no BS content I learned took me half way to a 7 figure business in just a matter of months. And now, Mike Filsaime and Tom Beal have made this epic event available to serious entrepreneurs who missed out on this historic opportunity. But I don’t want this to be just another information product that you’re just going to buy and not consume. That’s why I have put together the “Crack The Code” Bonus Package for the 7 Figure Code product designed to help you take your business where you want it to go! Click Here To Unlock My “Crack The Code” Bonus Package For The 7 Figure Code Now!